Few months into the implementation of the Nigeria’s government Automotive Industrial Development Programme and announcement of the new automotive policy, a lot of shake-up is happening within automobile companies in Nigeria. It started with Innoson Vehicles Manufacturing Company Limited rolling out large quantities of their IVM SUV (Innoson IVM SUV) at a very affordable price. Innoson Vehicles Manufacturing Company Limited has grown to be the popular choice amongst Nigeria’s indigenous car manufacturers. With their products gaining popularity and patronage by Nigerians. Fast-forward July 2014, the Managing Director of Peugeot Automobile Nigeria Limited, Mr Ibrahim Boyi has announced the company’s full support of the Federal government’s Automotive Industrial Development Programme and had designated about 24,000 square metres within its premises in Kaduna State for the Local Components Park. 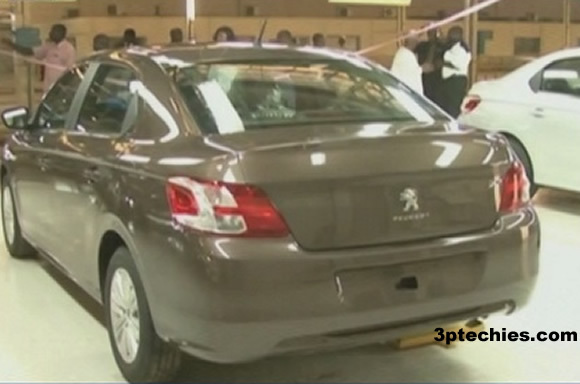 The launching of the Peugeot 301 in commercial quantity in Nigeria was made know to our editorial team in a report by one of Nigeria’s popular news channels. It is a welcomed development considering how much good this is going to do to the Nigeria’s Economy, many jobs will be created for both skilled and unskilled laborers. The automotive industry development plan took account of the problems that led to the collapse of the industry in the past and was developed after extensive consultations with the executives of the existing local auto manufacturers. That is why we plan to establish auto-skills and auto-companies parts in three parts of the country. He also revealed that the federal government would launch a vehicle financing scheme to make funds available to the Nigerian populace for the purchase of made in Nigeria vehicles under the new automotive policy.